A warranty can offer greater peace of mind. We believe every Beazer homeowner deserves to be a proud Beazer homeowner. As you settle into your new space, be assured that your Beazer home was built with quality, craftsmanship and innovation in mind and that Beazer Homes has a reputation for building great homes. Beazer strives to provide exceptional customer service to ensure an outstanding experience for every homeowner from the time you first walk into our model homes until you're years into enjoying your home. We have a dedicated Customer Care team to address any question you have related to your new Beazer home. They will take care of you every step of the way. Our new home limited warranty defines the warranty periods provided for everything in a Beazer home, both inside and out. Most construction items are covered for the full first year of home ownership. Certain systems in the home are covered for the first two years of home ownership, such as plumbing, electrical and HVAC. Major structural components are covered for ten years after the close of your new home. These are the most common issues not covered by the Beazer warranty. Lightning, hurricanes, earthquakes, and other natural disasters are not covered under our warranty. 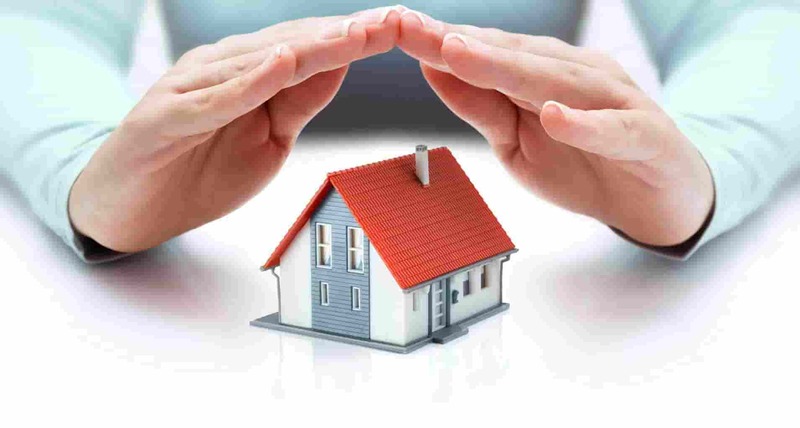 Depending on your homeowner’s insurance policy, you could be protected from specific damages or loss to the home structure caused by acts of nature. Cracks and chips are a common characteristic of bricks/pavers. It is also normal for brick to have mortar stains or alter in appearance due to plant growth or a chalky deposit known as efflorescence. To maintain the finish and structure, seek professional help for all mortar repairs, brick cleaning or grooming. Caulk repair is not covered by our warranty. However, it is a good practice as a homeowner to re-caulk interior and exterior areas of your home that are regularly exposed to water. Minor cracks in concrete driveways, patios, sidewalks and foundations are inevitable. Although precautions are taken to minimize the forming of cracks, this occurrence does not indicate structural deficiencies and will not impair the intended use of concrete surfaces. Products such as hot water heaters, refrigerators, HVAC systems, washers, dryers, sinks, and related appliances are not covered under our warranty unless the product at issue was not installed properly. Such products, however, may be covered under a separate manufacturer’s warranty. The manufacturer of these products should be contacted if there are functional problems experienced with these items. Because granite, marble, quartz or laminate countertops are made using natural materials, it is common for slight markings to occur during the manufacturing process. Careful use of sharp objects, abrasives or heat, as well as prompt cleaning of spills, will ensure their quality and protection. We recommend sealing all countertops within your home shortly after close. However, there is still a chance that the materials may develop a small change in color, minor imperfections or unwanted stains over time. Landscaping and damage caused by improper drainage due to custom landscaping installed after closing is not a warrantable item. Careful attention to proper and professional landscaping will preserve the quality and enhance the appearance of your new home. It is common to hear noise when walking on the second story of a multi-level home, especially on hardwood or tile floors. Because flooring is an installed product that can be impacted by many factors, most damage or noisiness will not be covered. However, major structural components in the flooring system may be covered. Nicks and scratches on painted walls are not covered by our warranty. All walls are coated using Sherwin-Williams paint. To address minor paint defects, contact your local Sherwin-Williams paint store to find the appropriate touch up color for your home. As Sheetrock or drywall settles in a new home, hairline cracks may form in the wall or ceiling, especially at the top corners of windows and doors. Stucco used for the exterior walls of your home may also form cracks. Although hairline cracks can be frustrating, they are most likely not the result of a construction defect, but rather a common condition that is simple to address. Sharp or heavy items, as well as heeled shoes, can easily scuff or damage soft, vinyl floors. If your vinyl floor is located in a high-traffic area, learning to patch small sections can help you maintain the floor’s condition over time. Humidity is drawn to the coolest surfaces, like the windows of your home. Condensation seen on windows or window frames relates to the humidity of your home, rather than improper window installation, and is not covered under our warranty.